As we start the new 2013 year, I just like to say thank you to all my readers for giving me input on my writings. Your comments and emails means a lot even if you were asking questions. Your comments have motivated me to keep on writing and recording all that I see and experience in my journey to be a medical doctor. Well I just completed a pediatric elective rotation. It wasn’t too bad but it was a wake up call from my previous experience of studying 12 hours a day for the USMLE Step 1. Now what I learn in clinical clerkship, I can use that to study for the USMLE Step 2 CK. I bought Step Up to Medicine book and also I bought a subscription to USMLE World for Step 2 CK. I’m still wondering if I should buy Step Up to Step 2 or the latest edition of Master the Boards USMLE Step 2 CK. I’m going on forums and asking my senior medical students which one is the best and apparently they give me mixed answers. Unlike USMLE Step 1 where First Aid and USMLE World question bank is all you need at the end, for USMLE Step 2 it’s all over the place. Unfortunately, a lot of things are changing and USMLE World question bank isn’t going to be enough. I think Kaplan question bank will have to be added and it makes sense, the more questions you do the better prepared you will be. My overall view of SJSM is very good so far in terms of clinical clerkship. Basic science in Bonaire wasn’t so good because it’s basically teachers reading off the slides. On top of that the Indian teachers in Bonaire showed favoritism, which wasn’t fair. Clinical clerkships are not under the authority of Saint James School of Medicine office. 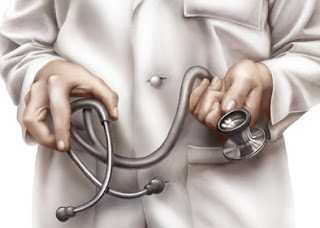 Of course you have to go through SJSM to get clerkship but once you start your clerkship, you are then under the authority of the doctor you are assigned to. I learned a lot under the doctor I was assigned to. Her PA also taught me a great deal in how to do a full well-visit child check up and what to look for when it came to physical diagnosis for any illness. What I noticed about some of the these young patients in my pediatric rotation is that their mothers bring them often for every little thing. Since they are under Medicaid, it’s easy for them to come in whenever they think something is wrong. Unfortunately these mothers take up time when a simple runny nose, that their kids have, will go away by itself and nothing will cure it since there is no cure for the common cold. Right now it’s a great feeling that I’m moving on with establishing my career and I thank the Almighty Lord for my success.